The Green party lawmakers in the European parliament have accused the world’s biggest clothing retailer Inditex of avoiding paying at least 585 million euros in taxes between 2011 and 2014. 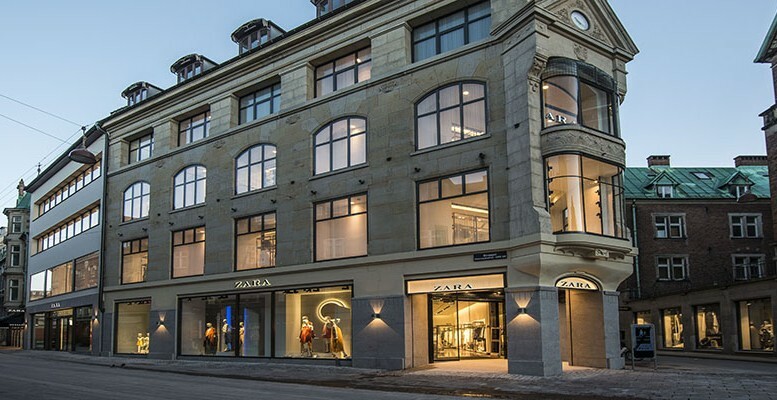 According its report ‘Tax Shopping: Exploring Zara’s Tax Avoidance Business’, the fact that Inditex diverted bonus payments to the Netherlands has cost Spain some 218 million euros in uncollected tax revenues, Germany 25 million, Italy 57 million and France 78 million, amongst others. The case has already been called “Zaraleaks” and the European Commissioner for Economic and Financial Affairs, Pierre Moscovici, recently claimed that the accusations made against Inditex for alleged tax evasion “represent a further call for more fiscal transparency.” So he has called on EU member countries to make faster progress in approving the various proposals regarding this issue. The commissioner was referring to a proposal to set up a Common Consolidated Corporate Tax Base (CCCTB). This is a project which has been stalled since 2011, but which Brussels has tried to push forward in two ways: firstly they will try to agree on a common base and, later, consolidation (the part which has fuelled the most reticence from the capitals). The objective of the other proposal referred to by Moscovici is to oblige those multinationals with over 750 million euros to make public figures like total net revenues, pretax profits, taxes paid and profits accumulated in each of the countries where they operate. Kepler Cheuvreux’s analysts agree that there is little risk of a retroactive tax adjustment for Inditex, but also points to the need of additional fiscal transparency. As the report says, the techniques used are legal (thus, allowed by European regulations). Still, we don’t rule out greater scrutiny in future in terms of agreements between large multinationals and different countries. Other companies being investigated for similar practices include Ikea, Amazon, Starbucks and Apple. For its part, Inditex rejected the accusation, saying it complies with tax rules in its various markets. According to the company, the report is “based on mistaken premises that lead to erroneous conclusions.” Furthermore, it paid 2.2 billion euros in corporate tax in Spain between 2011 and 2015, over 2% of the total collected. During this period, the Galician firm has paid corporate taxes in the countries where it is present to the tune of over 4.4 billion euros. Inditex has said that it “scrupulously” complies with the tax regulations in the 93 markets where it operates. The group’s tax rate between 2011 and 2015 was 22%-24%, as a result of the great variation in the tax levels in the different jurisdictions. Some examples of this are Spain with 25%, the UK with 20%, Germany with 28%, Romania with 16%, Russia with 20%, Ireland with 12.5%, Poland with 19%, China with 25%, France with 33.33%, Greece with 29%, Italy with 27%, Austria with 25% and Turkey with 20%.